We at the Leukemia Research Foundation of Delaware are proud to honor the Reybold Group for their continuous support of the LRFDE and for being a trusted partner with many organizations in the communities which they serve. 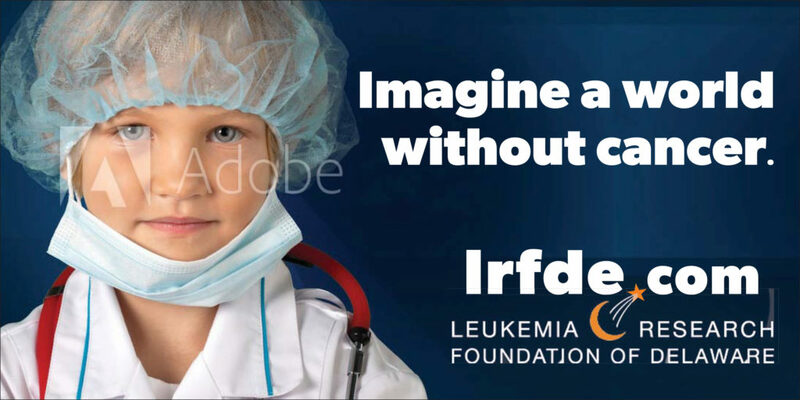 Most recently, the Reybold Group generously donated an outstanding $15,000 to the LRFDE to aid in our mission of providing continuous funding to cutting-edge blood cancer research!! In addition to their generous donation, the Reybold Group also designed and published a billboard promoting the foundation – their powerful message in support of the LRFDE sits on RT.273 in Newark. It is an honor and a privilege to have the sponsorship of the Reybold Group, a leading provider in commercial and residential development. They, without a doubt, uphold the important value of giving back to their community and it is obvious that they share the same hopeful vision for the future that we do: a world without cancer. For that, we are forever grateful. Pictured Above: The billboard proof designed and donated by the Reybold Group – located on RT. 273 in Newark. Each division’s management objectives highlight safety and a commitment to excellence. Accordingly, they carefully design each project surpassing existing code and Green standards; vet and select local merchants who supply the best materials and qualified labor, providing cost savings in the processes that they share with their customers; develop relationships with their customers assuring satisfaction and excellence in the customer experience; invest in the region’s good works improving the quality of living and working throughout New Castle County; and furnish and support vital jobs that support the local economy. For more information on the Reybold Group please click here.